A collaboration between a bespoke diamond jewellery brand and a handmade luxury chocolate company might at first glance not be the most obvious. 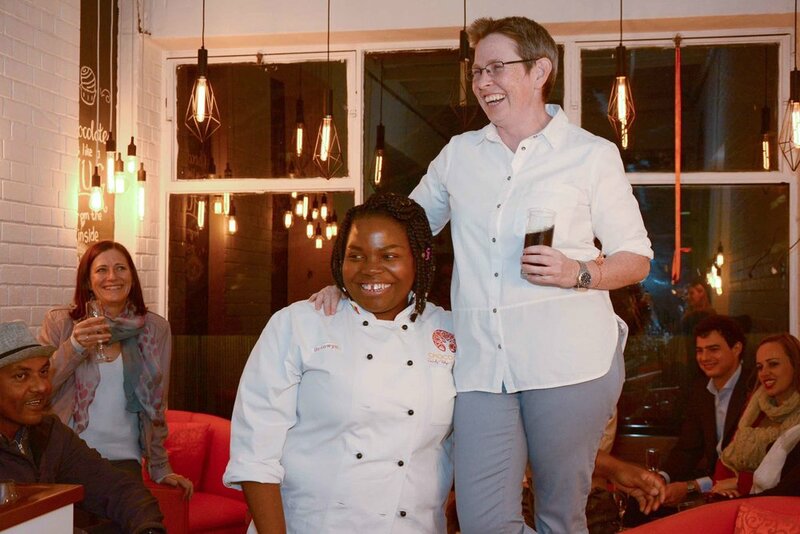 But for two South African women entrepreneurs who are passionate about luxury and a bespoke approach to their businesses, it’s a creative match made in heaven. 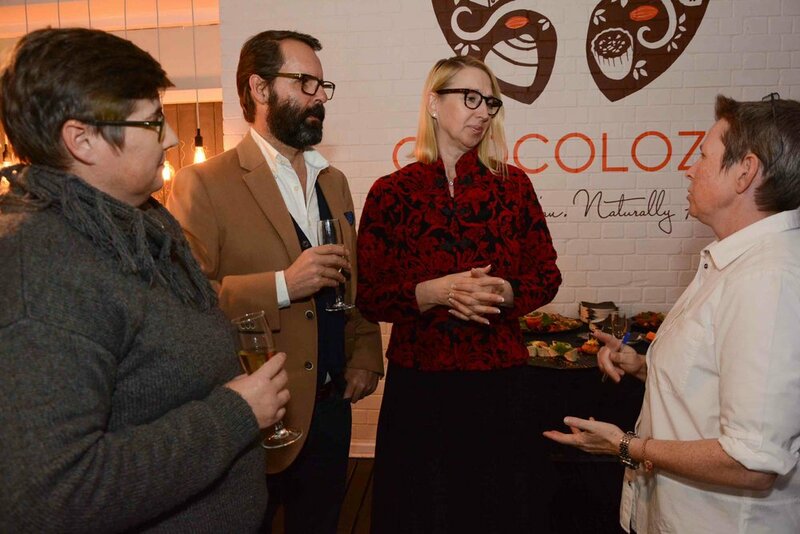 Clare Appleyard, founder of Katannuta Diamonds and Vicki Bain, founder of Chocoloza, have just launched an exciting new collaboration, and its all on the theme of chocolate. The lattice re-arrangement that leads to the formation of these gorgeous Chocolate diamonds is not far removed from the process of tempering chocolate, in which the crystal structure of the cocoa butter is manipulated, a process mastered by Vicki Bain of Chocoloza. 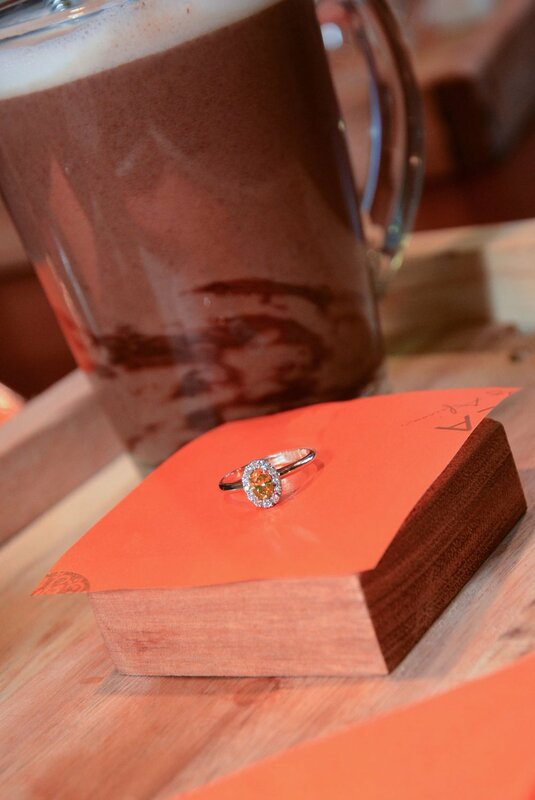 After discovering Chocoloza through Lionesses of Africa, Clare recognized that their gorgeous chocolates formed the perfect backdrop for photographs of Chocolate diamond jewellery, and an inspired collaboration was born. Chocoloza has developed two unique chocolates for Katannuta Diamonds and all future Katannuta Diamond clients will be gifted with a box of these chocolates. 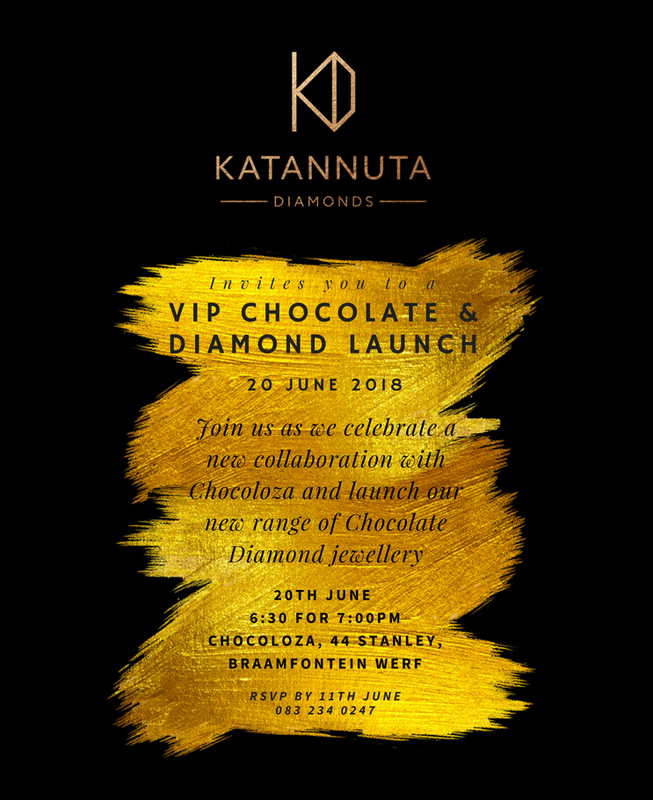 Katannuta Diamonds showcased its new Chocolate & Cognac diamond jewellery at this special collaborative launch event, with designs inspired by the rich palettes of Chocoloza’s chocolate masterpieces. 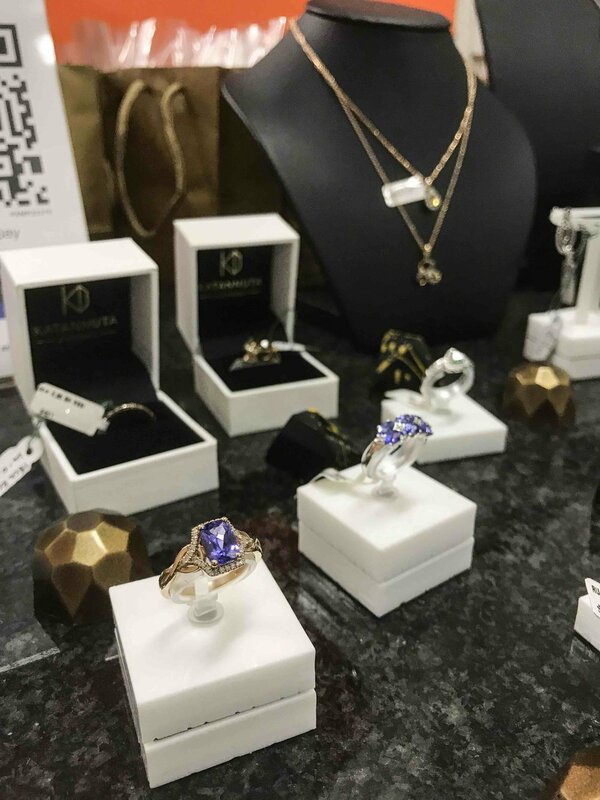 Katannuta Diamonds is an independent jewellery design and manufacturing company, formed in 2007 by Clare Appleyard and based in Johannesburg, South Africa. It is an online jewellery store specializing in the design and manufacture of diamond rings, engagement rings, wedding rings and most diamond jewellery, all manufactured to order. Additionally, the company has large supplies of loose gemstones such as tanzanite, rubies, sapphires and other precious and semi-precious gems. Katannuta Diamonds works closely with its clients to ensure that they receive exceptional service and the company’s wholesale approach yields savings of up to 50% on equivalent retail items of jewellery. 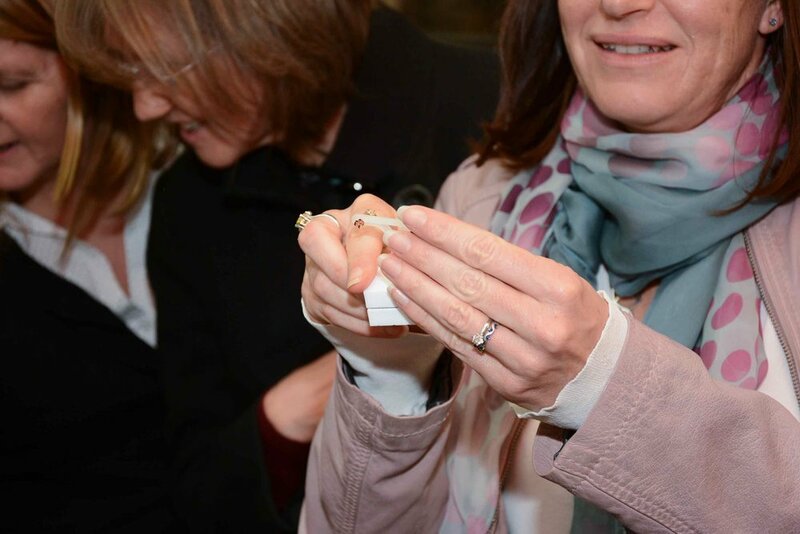 Katannuta Diamonds is uniquely partnered with one of the largest and oldest South African diamond suppliers, well known for their quality supply of loose diamonds to leading jewellery retail stores as well as the Duty Free stores at South Africa’s international airports. As such, Katannuta Diamonds has access to one of the largest inventories of loose diamonds in South Africa, allowing it to offer its valued clients significant savings. Chocoloza is winning fans with its pralines which are handmade with pure Belgian chocolate, the best South African ingredients and a serious dose of passion and craftsmanship. 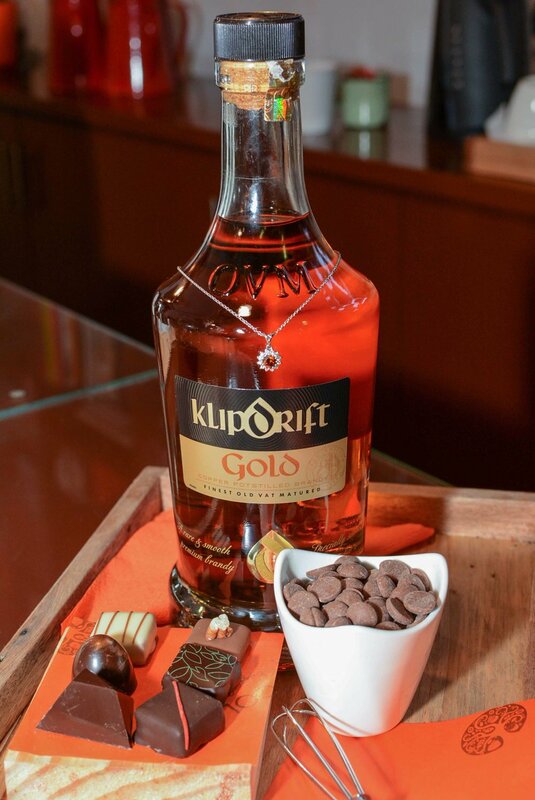 What makes the chocolates Belgian is more than just the chocolate, it’s also how it’s done. Chocoloza continues the tradition of Belgian chocolates, and combines it with the best that South Africa has to offer. The country has the best fruits and nuts in the world and what better way to combine them than in chocolate? 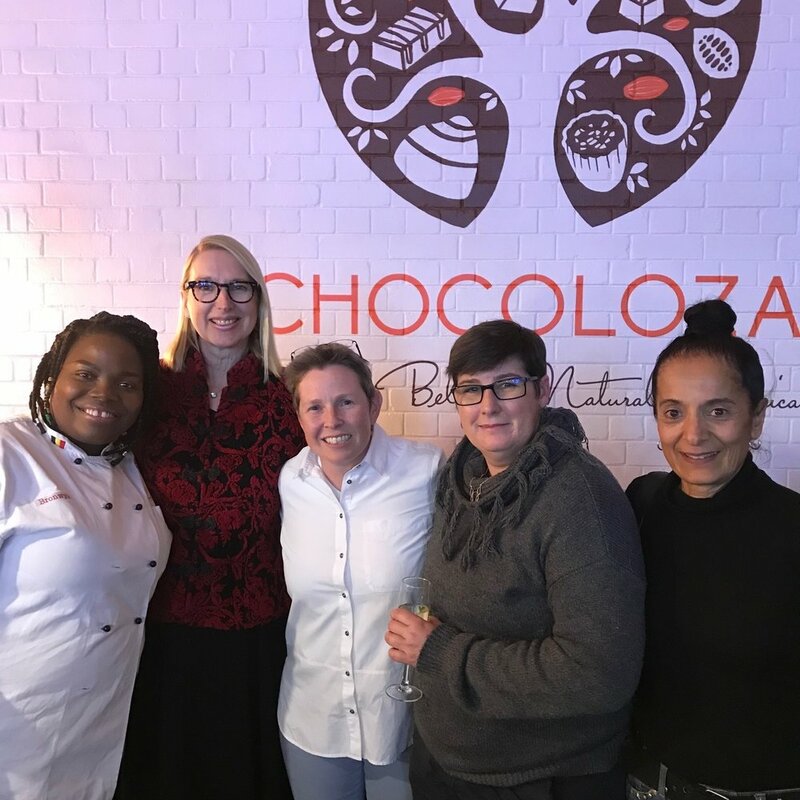 The Chocoloza team, led by founder and passionate chocolatier Vicki Bain, hand-make all the chocolates right where you can see them and the workshop is part of the shop which is nestled under the trees at 44 Stanley, the beautifully restored precinct at 44 Stanley Avenue, Milpark in Johannesburg.